Late Saturday, night February 9, 2019, God dispatched his angels to claim another of his children, Mr. Julius Ceasar Tuck. Julius was a loving father and brother. He has fulfilled his purpose to “God, family and friends. Mr. Julius Ceasar Tuck was born November 6, 1940 in Alexander City, Alabama to the late Sallie Robinson and the late Frank Tuck. At an early age he accepted Jesus Christ as his Lord and Savior and joined Early Rose Baptist Church. Julius graduated from Laurel High School in 1958. He then attended Nashville Business School and later served in the U. S. Army. After his service in the military, he returned home (Alex City and worked at Russell Mills while attending Alabama State University in Montgomery, AL. He obtained a Bachelor of Science and Masters Degree in Education. He taught History at Sylacauga High School until his retirement. He married the late Helen Marbury and to this union a son was born. 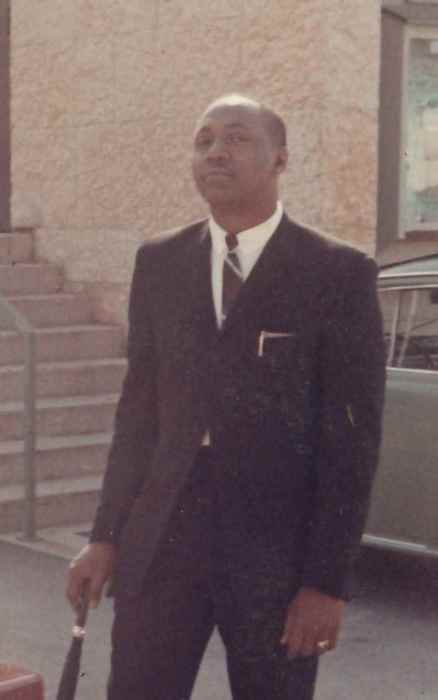 Julius was preceded in death by seven siblings: Bennie Frank (late Sara), Billy Austin Tuck, Charles Robinson, Johnnie Mae (late John) Cole, Phillip Robinson, Shirley Norris and Charlene (late John) Westbrooks. Julius leaves to cherish his precious memories, a loving anddevoted son, Jomo Che Kenyatta (Chandra) Tuck of Mobile, AL. A daughter, Iris Thompson of Alexander City, AL. Seven grandchildren: Curtia (Bradgel) Moon, Lanertia Leonard, Kenyatta Kelly, Breania Tuck, Christen Gooden, Cameron Gooden, Connie Harper and Xavier Tuck. Four great grand children: Mon’tia Moon, Eriasia Spivey, Kaziyah Moon and Xavier Moon. Five brothers: Ralph (Jeridine) Tuck of Beaumont, TX; Emmitt Robinson of Charlotte, NC, Glenn (Lucille) Robinson and Larry (Sandra) Gaddis both of Alexander City, AL. and Larry Harrell of Las Vega, NV. Three sisters: Pearlie Mae (late Houston) Ford of Atlanta, GA, Hattie M. (late ‘Red’) Daniels of Alexander City, AL and Tommie Porter of South Haven, MI. A sister-in-law, Joyce Robinson of Alexander City, AL. A host of cherished nieces, nephews, other relatives and friends. A special, special companion, Winky, the pup.